Walter Thomas Huston (/ˈhjuːstən/; né Houghston; April 5, 1883 – April 7, 1950) was a Canadian actor and singer. Huston won the Academy Award for Best Supporting Actor for his role in The Treasure of the Sierra Madre, directed by his son John Huston. He is the patriarch of the four generations of the Huston acting family, including his son John, Anjelica Huston, Danny Huston, Allegra Huston and Jack Huston. The Huston family has three generations of Academy Award winners: Walter, his son John and John's daughter Anjelica. Huston was born in Toronto, Ontario, where he attended Winchester Street Public School. He was the son of Elizabeth (née McGibbon) and Robert Moore Huston, a farmer who founded a construction company. He was of Scottish and Irish descent. He had a brother and two sisters, one of whom was the theatrical voice coach Margaret Carrington (1877–1941). His family moved, before his birth, from Melville, just south of Orangeville, Ontario, where they were farmers. As a young man, he worked in construction and in his spare time attended the Shaw School of Acting. He made his stage debut in 1902. He went on to tour in In Convict Stripes, a play by Hal Reid, father of Wallace Reid and also appeared with Richard Mansfield in Julius Caesar. He again toured in another play The Sign of the Cross. In 1904, he married Rhea Gore (1882–1938) and gave up acting to work as a manager of electric power stations in Nevada, Missouri. He maintained these jobs until 1909. In 1909, his marriage foundering, he appeared with an older actress named Bayonne Whipple (born Mina Rose, 1865–1937). They were billed as Whipple and Huston and, in 1915, they married. Vaudeville was their livelihood into the 1920s. Once talkies began in Hollywood, he was cast in both character roles and as a leading man. His first major role was portraying the villainous Trampas in the western The Virginian (1929) with Gary Cooper. His early films are Abraham Lincoln (1930), Rain (1932), Gabriel Over the White House (1933). Huston remained busy throughout the 1930s and 1940s, both on stage and screen, becoming one of America's most prominent actors. He starred as the title character in the Broadway theatrical adaptation from Sinclair Lewis's novel Dodsworth in 1934 and the play's film version released two years later. For his role as Sam Dodsworth, Huston won the New York Film Critics Circle Award for Best Actor and was Oscar nominated. He performed "September Song" in the original Broadway production of Knickerbocker Holiday (1938). Huston's recording of "September Song" is heard repeatedly in September Affair (1950). Huston made an uncredited appearance in The Maltese Falcon (1941) portraying the ship's captain, who is shot just before delivering the black bird to Sam Spade. Walter's son, John Huston, directed the picture. John, as a practical joke, had his father enter the scene and die in more than 10 different takes. Among several contributions to World War II Allied propaganda films, Huston portrayed (uncredited) the part of a military instructor in a short propaganda film, Safeguarding Military Information (1942). The film produced by the Academy of Motion Picture Arts and Sciences and distributed by the War Activities Committee of the Motion Pictures Industry. This was an performance. Along with Anthony Veiller, he narrated the Why We Fight series of World War II documentaries directed by Frank Capra. Also in this period he appeared in The Devil and Daniel Webster (1941) as Mr. Scratch, Yankee Doodle Dandy (1942), and Mission to Moscow (1943), a pro-Soviet World War II propaganda film, in which he played Ambassador Joseph E. Davies. Huston played Howard in The Treasure of the Sierra Madre (1948), directed by his son, John Huston. The film was based on B. Traven's novel, which told the story of three gold diggers in 1920s post-revolution Mexico. Walter Huston won the Golden Globe Award and the Academy Award for Best Supporting Actor for the film, while John Huston won the Best Director Academy Award, thus making them the first father and son to win at the same ceremony. His last film was the western The Furies (1950) with Barbara Stanwyck. Huston's son John initially became a screenwriter, before becoming an Academy Award-winning director and acclaimed actor. All of Huston's grandchildren have become actors, as well as his great-grandson. Granddaughter Anjelica sang "September Song" on the May 7, 2012 episode of the NBC TV series Smash. In 1998, the biography September Song – An Intimate Biography of Walter Huston by John Weld was published by The Scarecrow Press. ^ Morrison, Michael A. (1999). John Barrymore, Shakespearean Actor (Volume 10 of Cambridge studies in American theatre and drama). Cambridge University Press. p. 75. ISBN 0-521-62979-9. ^ Huston, John (1994). An Open Book. Da Capo Press. p. 9. ISBN 0-306-80573-1. ^ Arthur Huston, "Melville Junction", Wm. Perkins Bull fonds, ca. 1934. Available at the Region of Peel Archives, Brampton. ^ "Walter Huston/Bayonne Whipple; response from Ancestry.com dated March 17, 2005". Archiver.rootsweb.ancestry.com. 2005-03-17. Retrieved 2016-06-14. ^ Crowther, Bosley (February 2, 1951). "September Affair,' With Joan Fontaine and Joseph Cotten, Opens at the Music Hall". The New York Times. Retrieved January 25, 2019. ^ "Hollywood Death of Walter Huston". The Glasgow Herald. Glasgow, Scotland. April 6, 1950. p. 4. Retrieved February 14, 2016. ^ Huston, John (1994). An Open Book. Da Capo Press. p. 185. ISBN 0-306-80573-1. 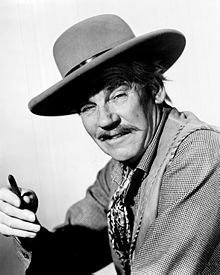 ^ "Services Planned for Walter Huston". Spokane Daily Chronicle. Spokane, Washington. April 10, 1950. p. 9. Retrieved February 14, 2016. ^ "Walk of Fame Stars Walter Huston". Hollywood Chamber of Commerce/Walk of Fame. ^ "Hollywood Star Walk: Walter Huston". latimes.com.